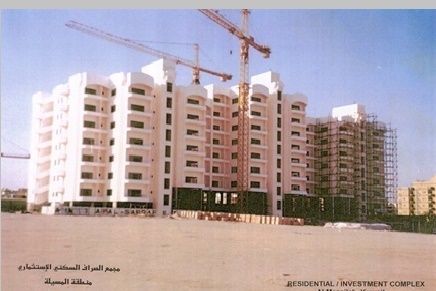 The project comprises the construction of a deluxe finishing complex consisting on a plot area of 8000 m2. It consists of 68 flats with 212m2 area each. Number of floors is 10 consisting of one basement, ground, and eight typical floors. The basement contains a swimming pool and a car park. The design philosophy adopted goes in line with typical Kuwait s family social and traditional requirements.